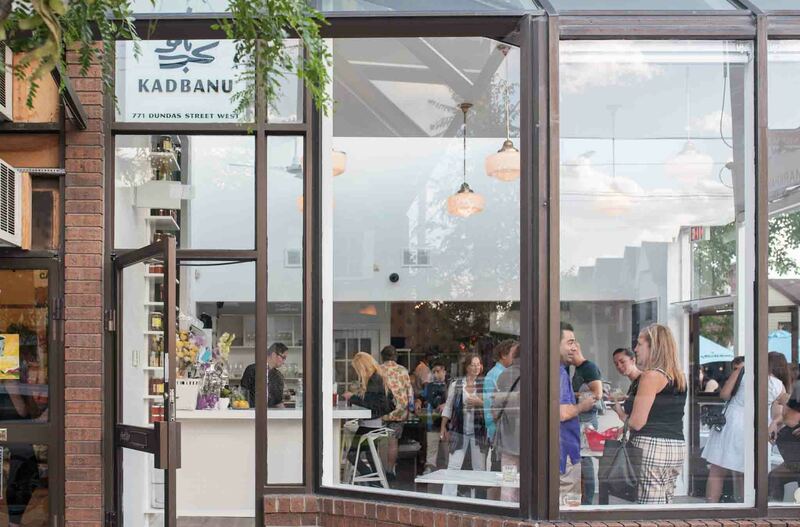 Kadbanu is a Persian cafe and takeout counter occupying a corner at Dundas and Markham. The Mohyeddin family, Salome, Amir and Samira, opened the store as an extension of the 10-year-old Queen West restaurant Banu - only here, the casual spot courts locals and nearby hospital workers with hearty daytime fare like Persian breakfasts and a daily line-up of grab and go sandwiches. The space is composed of a bar, open kitchen and seating for 20. While it's compact, the stark white room manages to feel airy - it's bathed in full sun thanks to wraparound windows and skylights. Hand painted patterned tile and colourful shelves of imported Iranian pantry goods are the only ornamentation. Mirza ghasemi ($12), for those not familiar with the dish, is a thick garlicky purée of tomatoes and roasted aubergines. Here it's topped with a fried egg for breakfast and eaten like a stew, though it's thick enough to double as a dip. I would have prefered an endless supply of barbari bread from Garni Bakery to a spoon, but it's still a satisfying dish. 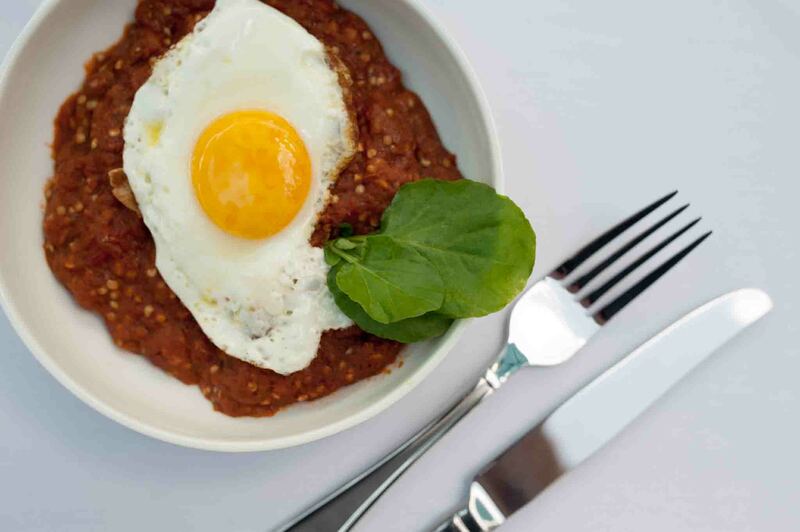 There's shakshuka ($12), too, a pot of savoury tomato sauce served bubbling with an egg baked into its centre. 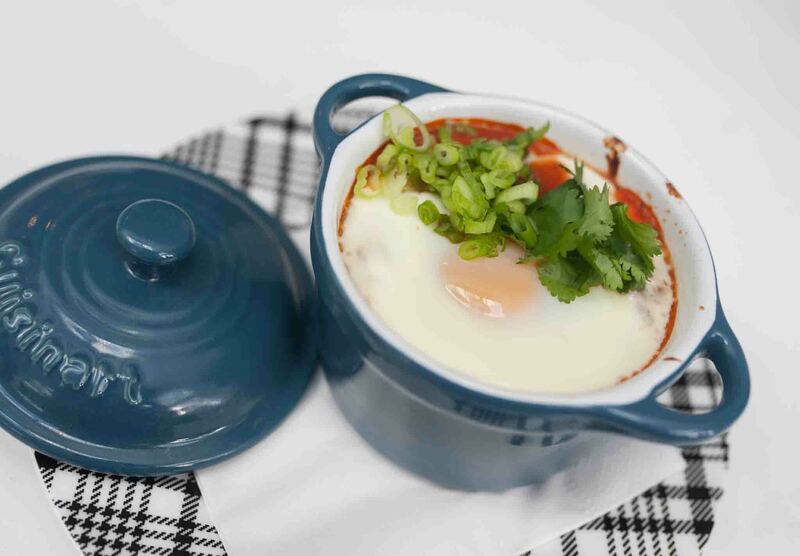 The sauce is has a little spicy kick, subdued by the runny yolk once broken. Traditional yogurts ($6) are offered on the side along with fresh salads, including classics like the chopped tomato and cucumber shirazi ($5). There are also seasonal salad specials, like the one offered that day, with earthy beets and plump pomegranate seeds. 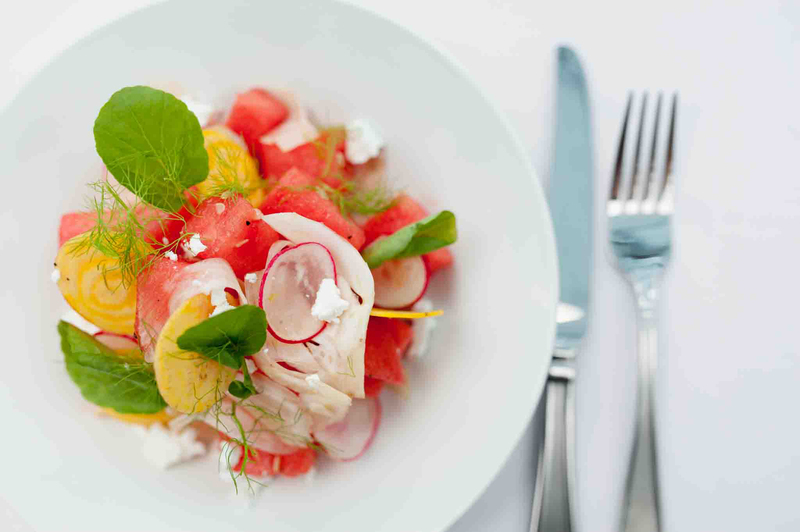 A watermelon salad ($6) made of sweet roughly cubed fruit is balanced with salty feta, watercress and beets. I will have to come back to try the rotating selection of traditional stews like gheymeh ($13) and ghormeh sabzi ($13), or the saffron stained-rice dish tah chin ($12) done with chicken or eggplant. Curiously, I also notice beef stroganoff ($12) with fries listed on the menu, which I'm told is hardly Persian, but one of those assimilated comfort foods that is a staple in Iranian households - just like how everyone here (regardless of ethnicity) makes spaghetti at home. 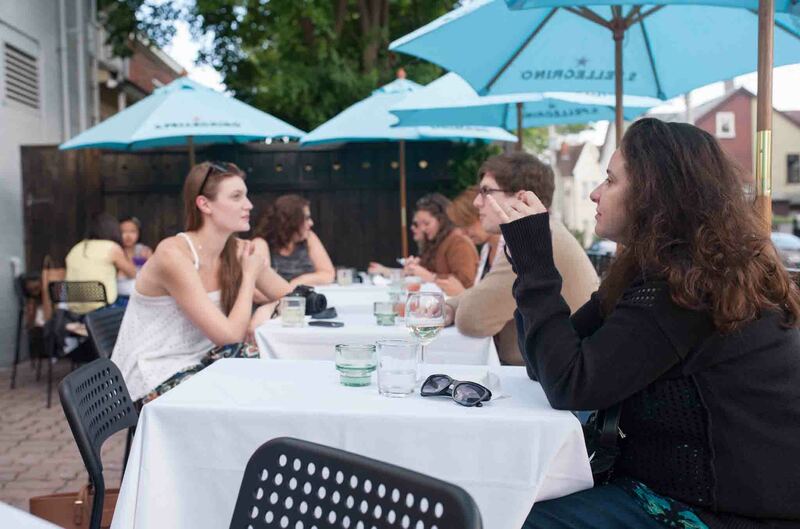 Kadbanu also boasts a sidewalk patio which more than doubles its capacity in the summer. Here, patrons can sip Persian black tea ($3) or carbonated doogh ($4), a thick yogurt-based drink. 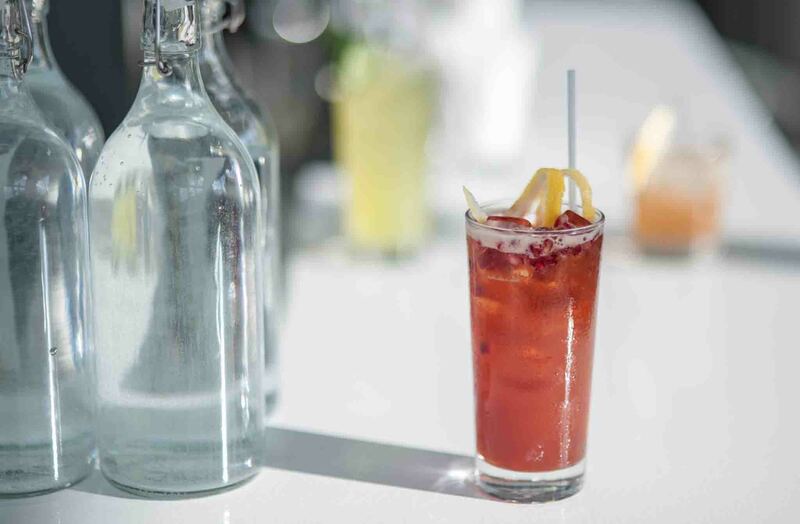 Those looking for something strong can expect taps of Stiegl and Delirium to be installed soon, or cocktails like the Vodka va Anar ($12) an effervescent pomegranate spritzer that's both sweet and slightly tart. The cafe is still experimenting with hours of operations, though the plan is to open Tuesday to Sunday at 9am for breakfasts.